In the Roman Calendar and in the Calendar of the 1662 Book of Common Prayer this day is the commemoration of Sylvester, Bishop of Rome from 314 to 335. Little is known of Sylvester’s life and episcopate. He became bishop of the imperial city in the year of the promulgation of the letter of the emperors Constantine and Licinius (known in later years as the “Edict of Milan”) which declared Christianity a religio licita (a legal religion) in the Roman Empire. He was represented by delegates at the regional Council of Arles, called in 314 in an attempt to heal the Donatist schism, and at the first Council of Nicaea. 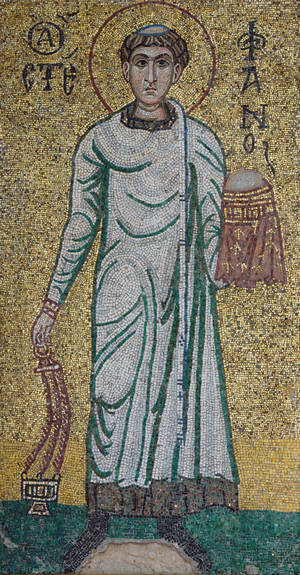 Though little of historical value is known about him, he figures importantly in medieval legendary hagiography, which asserts that he baptized the emperor Constantine at the baptistery of the Lateran, cleansing him of leprosy. His medieval Acts also assert that he established the Lateran church as the cathedral of the city of Rome on land given to him by Constantine. Sylvester, Bishop of Rome, is commemorated on this day in the calendar of the 1662 Book of Common Prayer. Born about the year 1809 into the Yoruba, as a boy of 13, Ajayi (or Adjai) was captured in a Falani attack and sold as a slave. The ship transporting him was arrested by the British Royal Navy and taken to Sierra Leone, where he came under the care of the Church Missionary Society in 1822. At baptism he took the name of a committee member of the CMS. Samuel Ajayi was among the first students of the Fourah Bay Institution, served as a teacher in Sierra Leone, and was a CMS representative on the British government’s Niger Expedition of 1841. After studying at Islington College, the Church Missionary Society’s training school in London, he was ordained in 1843 and was one of the founding members of the CMS mission to the Yoruba people. From 1857 he led the Niger Mission with an all-African staff, covering the area from the Upper Niger to the Delta. In 1864 Crowther was ordained and appointed Bishop of Western Africa beyond the Queen’s jurisdiction. In that same year he was made a Doctor of Divinity by Oxford University (by tradition, new bishops in the Church of England were made Doctors of Divinity by Oxford or Cambridge on their elevation to the episcopate). As the first native African Anglican bishop and leader of a native African Anglican mission, Crowther exemplified the younger Henry Venn‘s indigenous church policy. Venn, an Evangelical Anglican missionary statesman and grandson of the Evangelical theologian Henry Venn, served as secretary of the Church Missionary Society from 1841 to 1872. His aim was that indigenous missionary churches should be self-supporting, self-governing, and self-extending. Venn was instrumental in securing Crowther’s appointment as a missionary bishop. However, in his later years, as his authority was increasingly bypassed and the African Niger mission was effectively dismantled by European missionaries, Crowther was the victim of a more ethnocentric missionary approach that marked the imperial period. Crowther was also the principal influence on the translation of the Bible into Yoruba and on the orthography devised for writing Yoruba, and he encouraged vernacular translation by his clergy. While his attention was over time directed more and more to other languages, he continued to oversee the translation of the Bible into Yoruba, a project that was completed in the mid-1880s. The Church of Nigeria (Anglican Communion) is now the second-largest Church in the Anglican Communion by membership, after the Church of England. The commemoration of Samuel Ajayi Crowther on December 31, the date of his death from the effects of a stroke in 1891, was adopted provisionally by The Episcopal Church in 2009. 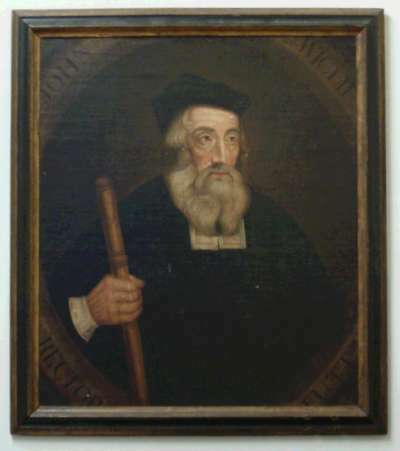 The date proposed by For All the Saints is December 30, an open day on the calendar, because John Wycliffe and Sylvester, Bishop of Rome, are commemorated on December 31. Almighty God, you rescued Samuel Ajayi Crowther from slavery, sent him to preach the Good News of Jesus Christ to his people in Nigeria, and made him the first bishop from the people of West Africa: Grant that those who follow in his steps may reap what he has sown and find abundant help for the harvest; through him who took upon himself the form of a slave that we might be free, the same Jesus Christ; who lives and reigns with you and the Holy Spirit, one God, for ever and ever. Amen. 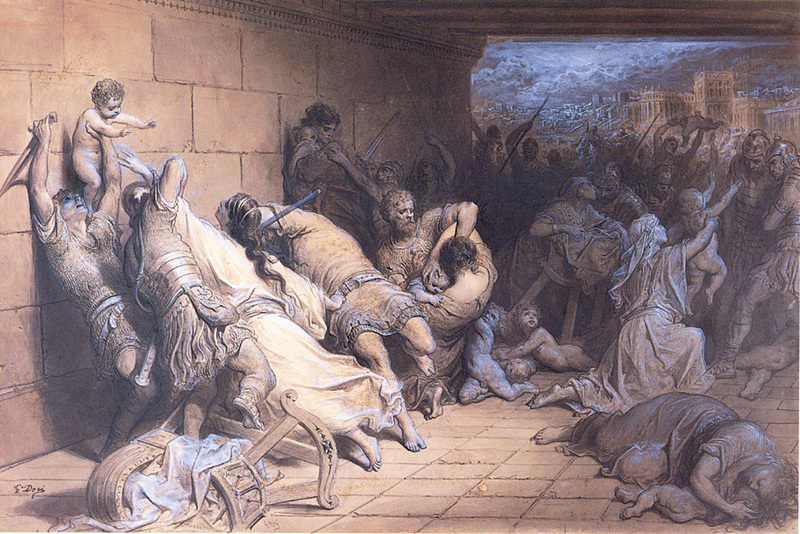 Since December 28 falls on a Sunday this year, the feast of the Holy Innocents is transferred to December 29, taking precedence over the commemoration of the martyrdom of Thomas Becket, Archbishop of Canterbury. Celebrating Martyrs – in Christmastide? …In the Western Church, St Stephen’s Day is the first of a succession of three festivals immediately following Christmas – St Stephen, St John, the Holy Innocents – that associate the three “heavenly birthdays” with the birthday of Christ: as he was born into this world from heaven, so they were born from this world into heaven. 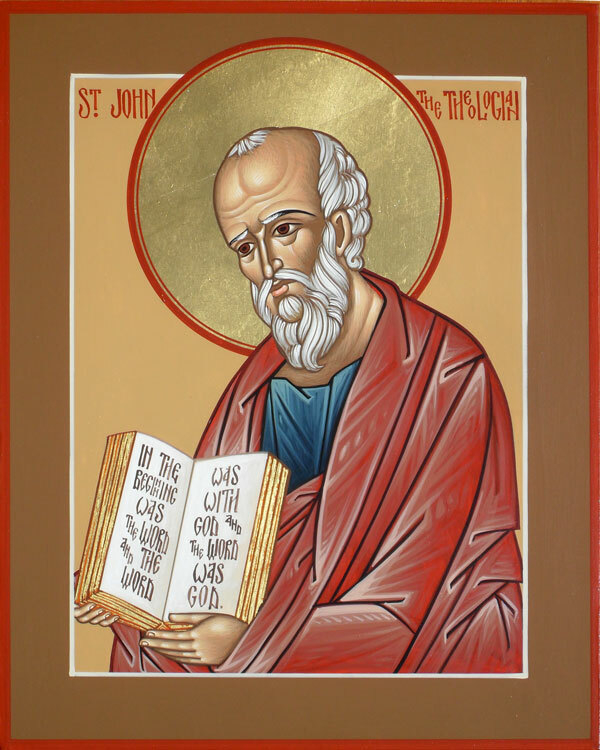 *St John the Evangelist (the Theologian), while he did not suffer martyrdom by death, suffered martyrdom by exile to the island of Patmos during the reign of the emperor Diocletian.